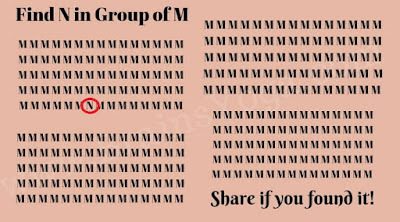 Here is the Picture Puzzle to test your observational skills. 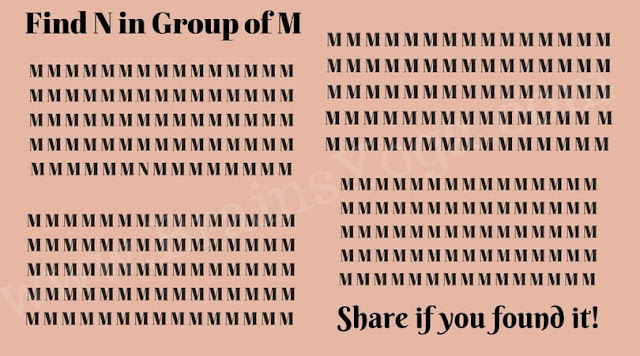 In this Picture Puzzle there are four group of letter M. However in one of these groups there is N hidden. Can you find this hidden letter N as quickly as possible? Can you find hidden letter N?